This entry was posted in Clusters - Case of the Missing and tagged clusters, online gaming, role playing, rpglory. Bookmark the permalink. You heard about it on my fan page! There’s a secret CLUSTERS chapter out there now. If you want to get your hands on it, then make sure to check out RPGlory’s fan page for an update on their indiegogo campaign. The chapter is Lorraine’s shortly after Ethan Franco visits her and her last moments. She cocked the gun, the double clicking sound of the shotgun shell lodging into the smoothborne barrel of the gun loud enough that an intruder would hear it – the reason she chose a shotgun in the first place. She wasn’t taking any chances. After all, she knew more than anyone that an alarm system and a watchdog didn’t provide the safety and comfort one would think. Her heart hurt with the memory of her lost nephew – vanished only two feet from where she stood now. 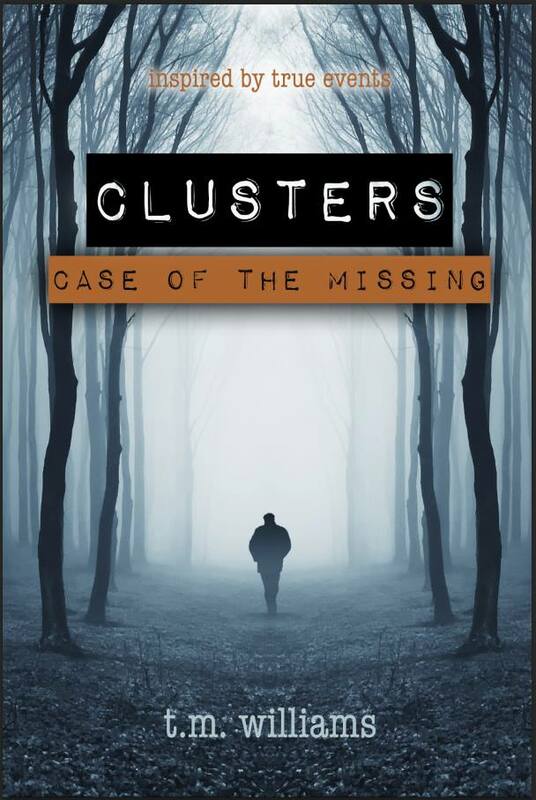 Please join me for a live online role-playing session set in my novel Clusters: Case of the Missing. During the event you will have a chance to uncover for yourself some of the mysteries only hinted at in the book. This game is appropriate for people who have never tried a role-playing game before, as well as experienced gamers. Player slots will be available as a perk in RPGlory.com’s upcoming Indiegogo campaign. Register at www.RPGlory.com or sign up for their mailing list (http://www.rpglory.com/membership/XUDRegNotify.asp) to be among the first to be notified when the campaign goes live. 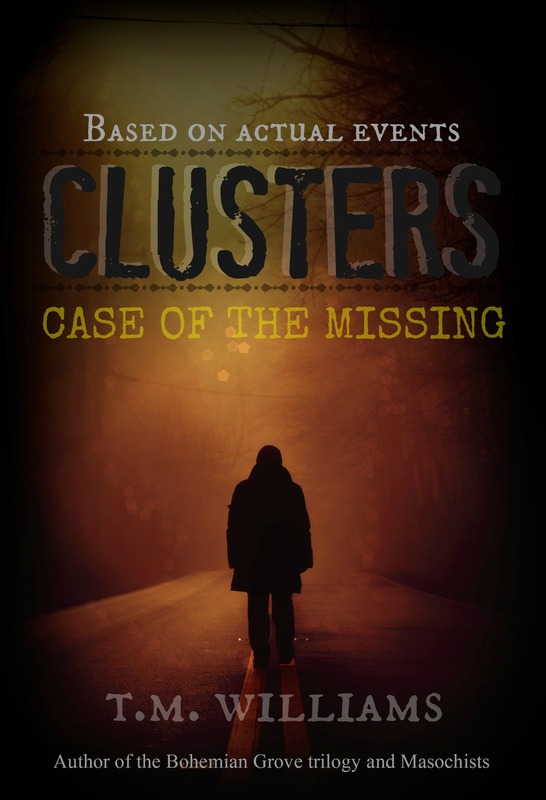 If you’ve read Clusters, which missing case is the most intriguing for you that you’d like to see a chapter from? This entry was posted in Clusters - Case of the Missing and tagged case of the missing, clusters, forest, tm williams. Bookmark the permalink. Some driving instinct told him to get out, to escape quickly. The other part of him, the part that made him a damn good journalist, begged him to push forward. Indecisive, he listened as the silence mocked him. His stomach roiled in knots and the chill of the fall weather crawled down his spine, sending a shiver through his body. The small living room seemed to magnify in size and every step he knew he must take was a journey in itself. He was never one to let anything scare him from getting a story, let alone sounds of an empty home. He drew his gun, once again, relishing in the weight of it, solid in his hands. He gripped it tightly, pointing the barrel toward the ground. He wondered if he’d be able to hear anyone pull up on the gravel drive. Backing up to the front window, he peered out at his car sitting solitary in the drive. It began drizzling as he looked out the window and the same ominous feeling overcame him, taking his instincts into overdrive. An overwhelming sense of dread formed in the pit of his stomach. He had never been so directed by his feelings before. Franco didn’t know if this were just his nerves wearing thin after years of work or if something else were happening. 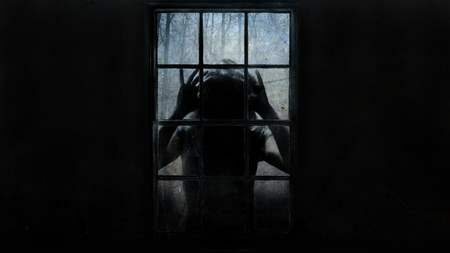 He struggled to ignore his fear as he walked softly through the home once more, carefully checking the room and the shadows that stretched out from the walls, hiding corners. He found nothing. Franco stood sedentary in the center of the living room once more when a loud crash came from the kitchen. and to pre-order The Good, The Bad, and The Ugly of Sales and Marketing as well! This entry was posted in Clusters - Case of the Missing. Bookmark the permalink. The 2nd edition, revised and re-edited Bohemian Grove will come out with Creed of Anu November 28th! Here’s the new cover. TA DA! 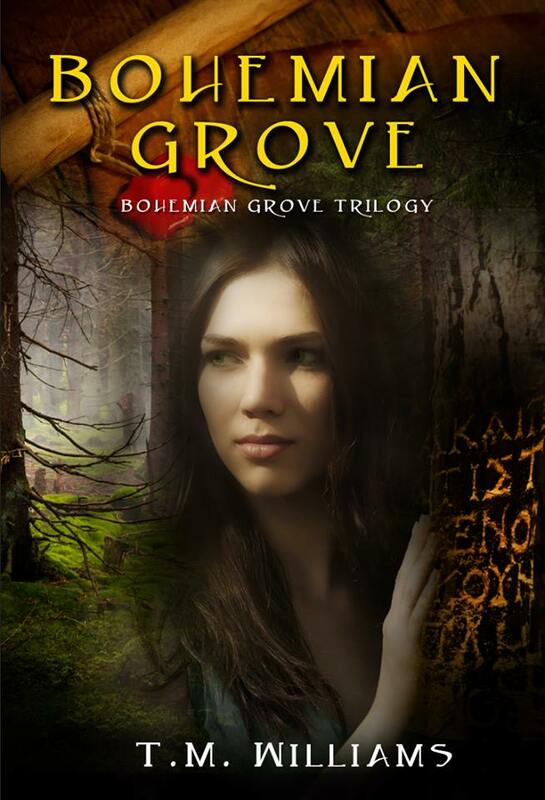 This entry was posted in Clusters - Case of the Missing and tagged bohemian grove, clusters, cover reveal, fiction, mystery, science fiction. Bookmark the permalink. Every once in a while a story comes along and does all the right things. I think readers, in a way, are hunters. We read book after book because we yearn to be lost in a world, to find ‘that’ book, to feel things we didn’t know we could feel. The Last Season does that and more. This is truly one of the greatest books I have read. I can’t imagine anyone else writing Morgenson’s story and doing it justice the way Blehm has. It’s a special story and one that will forever haunt me in a bittersweet way. I find myself emotionally and mentally obsessing over Randy Morgenson’s ‘last season’ and have felt that slight shift in life that happens when you read a book like this. I’m so grateful to have read this and can’t recommend it enough. Who knew that such a great and tragic love story could be between a man and a mountain. This story I’m writing is really hitting home for me. As the cover says, it’s based on actual events. I’ve read hundreds of cases of the missing and the more I read, the more mysterious they do become. One thing the cases don’t show is the depth and feelings behind the missing. I wanted to bring them to life, so-to-speak, – their stories are ones that people need to hear. So, I’m sharing them in the best way I know how – as a story teller. Ethan Franco is a journalist with tough skin. But there’s another part to him, one that he rarely shows to the outside world. It’s in moments that he is by himself, doing what he does best – observing and investigating – that we see who he really is. This is one of those rare moments and one that is making me really like this character I’m writing. He is flawed and he is real in so many ways. I think many of us will see a part of us in this man when you read him in my book. I hope you enjoy this teaser! He walked over to the kitchen table where two chairs faced each other on either side and noticed the one chair had wear around the seat while the other didn’t. Lorraine’s chair, he decided. When he walked over to the other chair he noticed, for the first time, in faded crayon, the name, “Tyler” in the handwriting of a young child. Franco frowned as he ran his thumb involuntarily over the boy’s name. This was Tyler’s chair, the only thing left of him after the seven years since his disappearance. For whatever reason, Lorraine had gotten rid of all signs of Tyler, except for his chair at the breakfast table. Franco imagined her sitting every morning, for the past seven years, across from Tyler’s empty chair. That was her moment to connect, her moment not to forget. Franco felt like he was intruding on personal thoughts of Lorraine’s he was never meant to have. Yet, he couldn’t pull himself away. The sadness that enveloped him was overwhelming but he wanted to feel it, let it engrain into himself. He could almost picture the boy sitting there, eating his bowl of cereal and talking to his aunt. In the depth of the sadness and despair Franco could also feel the love that left it’s residual effect in this tiny corner of a home that no one ever paid attention to. Franco tucked Tyler’s chair back under the table and gave the kitchen one final look before he finally headed out of the home, an emptiness heavy in his heart. This entry was posted in Clusters - Case of the Missing and tagged clusters. Bookmark the permalink.